Almost 15 years after its original run ended, The X-Files has been resurrected for a six episode "event," which is a fancy television term for "Let's see if anyone still cares before we really commit to this." Mulder and Scully are back, and once again working paranormal cases for the FBI at the request of Assistant Director Skinner. There are grand government conspiracy theories at play, monsters afoot, and, of course, aliens. Even "The Smoking Man" is back, which means every fan favorite element of the show is covered, so how could this not be great? Cue David Duchovny, whose sleepy performance derails the already small amount of momentum these new episodes have. Here's why Fox Mulder not only doesn't believe, but seems to be bothered to have even been asked. 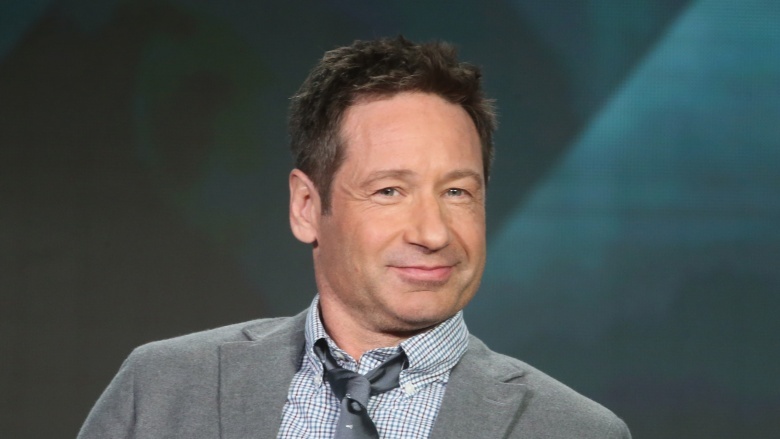 In the early seasons of the original X-Files, David Duchovny was nominated for two Emmys and actually won a Golden Globe. He's in no danger of either of those awards shows taking notice of him this time around. With its unusual mix of dramatic and comedic tones to work with, The X-Files seems like it would be fertile ground for an actor to explore his or her range. And for her part, Gillian Anderson seems to be doing exactly that during this new, limited run. She's gone from terrified to sorrowful to playful within the span of just a few episodes, none of which has seemed remotely out of character for Dana Scully. Duchovny, on the other hand, seems like he picked up his script for the first time on the way to the set, and he has no recollection of how this Fox Mulder character used to behave. Calling his performance one-note would be an insult to that note, and his lack of enthusiasm is never more present than when he attempts a zinger. In "Home Again," Mulder's well-known disdain for Philadelphia comes out in a few lukewarm jokes about the Sixers and the incompetence of the police department. In the hands of an actor putting in any kind of effort, this could add an edgy humor to a character, but in the hands of Duchovny we get watered down Detective Lennie Briscoe. Though Duchovny certainly isn't pulling his weight, some of the blame for his apathy probably falls on the writing. As always, Mulder repeatedly pontificates aloud some of the craziest conspiracy theories that he peppers with just enough historical background to keep people from tranquilizing him and throwing him in a padded room. In the original run, he seemed to do this with a believable passion and was able to emote internal conflict, so that it didn't need to be spelled out at the beginning or end of every rant. We get it, he "wants to believe." Do we need to hear that phrase repeated every episode like there's going to be a quiz afterward? And then there's the jokes. We honestly can't tell if Duchovny thinks that the character of Fox Mulder is disappointed with himself for making a horny toad double entendre or if Duchovny just can't believe this is the stuff that's written for him. Either way it usually grinds the show to an awkward halt. Well, that and the cuts to extreme close-ups of the Ford logo. Did you know Mulder and Scully always purchase and rent Ford vehicles? Eh, it's probably just a coincidence. Why is he so jacked? 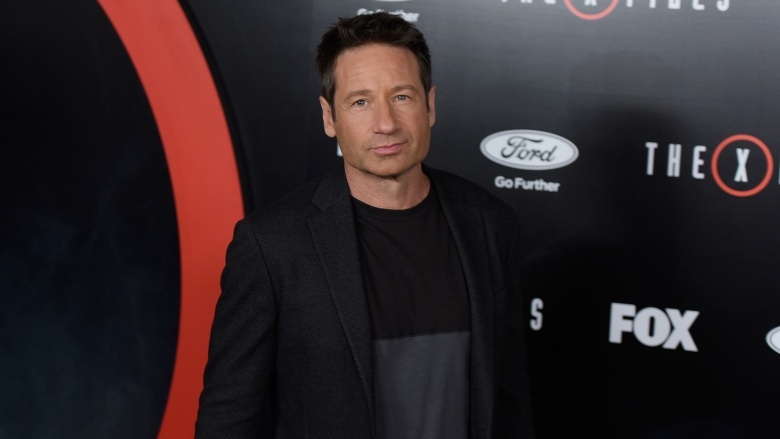 According to the "My Struggle," the season opener, Mulder is reintroduced as basically living off the grid, having given up his life's work, and generally let himself go. We know this because of his ramshackle house, perfectly distressed army jacket, and ruggedly handsome five-day stubble. Yet, a few episodes later, we're getting superfluous shirtless scenes—including one where he's wearing nothing but a blazing red banana hammock. Then there's another puzzling wardrobe choice: those frat boy t-shirts with the tiny sleeves, which show off Mulder's pumped up guns. So, he gave up on life, but not on free weights? Yes, it's TV and everyone's beautiful on there, but honestly, this wouldn't be so strange if they weren't also trying to cram in the "too old for this stuff" schtick that just about every aging character leans on. For example, when Mulder quips "I don't do stairs anymore," after failing to pursue a suspect. No stairs, huh? Guess he didn't have time for that in between the thousand crunches he does daily, which is something we can confidently speculate on since the showrunners already made sure we saw his six pack for no reason. 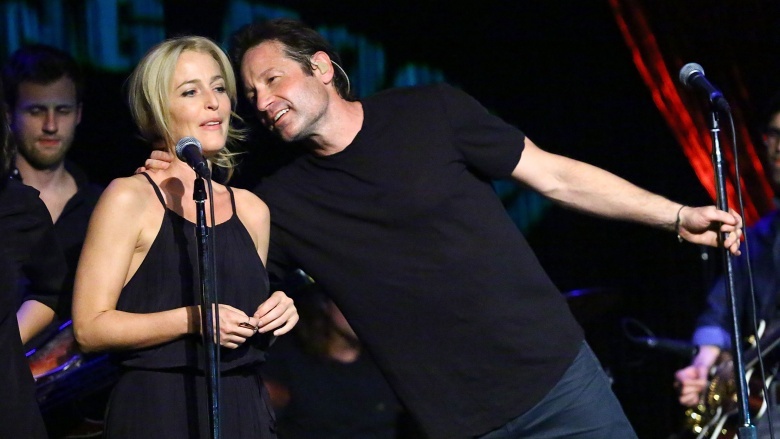 Gillian Anderson got a real deja vu when it came time to negotiate her contract for this new X-Files revival. She must have felt like she was back in 1993, the year she landed the role of Special Agent Dana Scully, a gig for which she'd earn half the pay of her co-star. After three years of proving herself alongside Duchovny, Anderson finally got a matching paycheck, which sounds like a crazy amount of time for something like that to go on. What's even crazier is that the studio tried to pull the same shenanigans this time around, offering her only half of what they'd offered Duchovny for the new six episode event. How is this Duchovny's fault, one might ask? Directly, is isn't. Indirectly, he did nothing publicly to rectify the situation and as of this writing, he hasn't made any kind of statement about it since the story made the press. While it certainly isn't his job to negotiate Gillian Anderson's salary, it's feasible to think that the guy would stand by his co-star and friend of so many years. Then again, perhaps Duchovny secretly wanted negotiations to break down so he could escape a role he clearly has little desire to perform. Actually, scratch that, since pulling off that kind of diabolical plan would take a level of subterfuge we're not so sure Duchovny has the chops for anymore.